WANT A PERSONALIZED VIDEO MESSAGE FROM KJERSTI FOR CHRISTMAS? MY INTENTION IS to be a responsible creator, who pours my heart and soul into the products I stand behind. I want to share a vibration reflecting authenticity & style, but also quality and technical aspects. Contains recycled polyester and has a ecological impregnation free from per-fluorinated compounds (PFC -free). Kjersti has contributed to developing snowboard gear since the very beginning of her career. In 2006 she launched the "KJ" signature line with Roxy, that became global best sellers. She made a point to only put her name behind products that was using recycled materials. 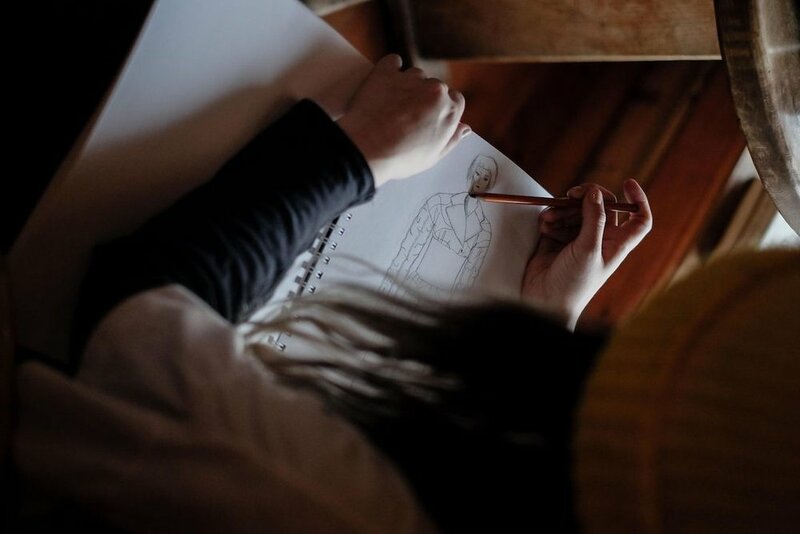 In the fall of 2017 Kjersti released her first ECO SIGNATURE COLLECTION with Swedish lifestyle brand Wear Colour, including a lightweight snow jacket and pants featuring hand drawn art by Whistler based artist Kate Zessel. If you are looking to dive deeper into the adventures of the backcountry, get more familiar with split boarding or progress your mountain awareness skills, you have come to the right source. We love utilizing natural terrain and our bodies as our engine. We also provide avalanche awareness courses at some of our retreats. To keep you safe and give you the most dynamic experience, we have teamed up with some of the best, professional guiding services in the world. Intertwining yin & yang activities promotes balance, health and happiness. That´s why meditation, yoga, healthy living workshops, environmental education and goal setting are elements integrated into our retreats. Without a destination, how do we expect to get there. 30% of what we write down, we attract & create. Without setting intentions, getting clear about our goals, how are we suppose to manifest them into fruition? Lets do this together. When we are #PRSNT we can connect with our selfs on a much deeper level. The reason for this is that the body always lives in that PRSNT "state of mind". This is where our Being resides and creativity flows. At our retreats we set aside time to just BE: for time to reflect and connect with ourselves. That way we can tap into our unlimited potential and essence of Being. THE ULTIMATE WINTER & POWDER RETREAT FOR WOMEN. AN ALL WOMEN'S ADVENTURE RETREAT IN NISEKO, JAPAN, RIDING FRESH POWDER every day. WE AIM TO DIP A LITTLE DEEPER THAN THE NORM. IN ADDITION TO THE RIDING, WE FOCUS ON CREATING A SAFE SPACE WHERE YOU CAN SHED B.S AND BE YOURSELF. TOGETHER WE ARE STRONGER. Kjersti is very health conscious & environmentally aware. She collaborates with companies who strive to do business for good, with the bigger picture in mind, people who see eye to eye and share similar values and outlooks on life. She also works closely with many non-profit organizations like Protect Our Winters, to support projects that will help protect the resources of our planet.